One limitation of many home automation platforms is that you can only have a single user account to control the gateway. 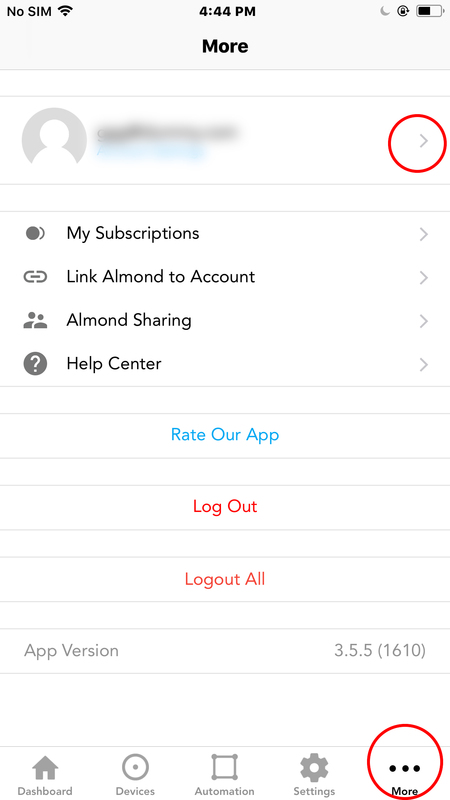 This isn't great for families or businesses so we created a feature for the Almond App that allows you to add multiple users simply called Invite More. 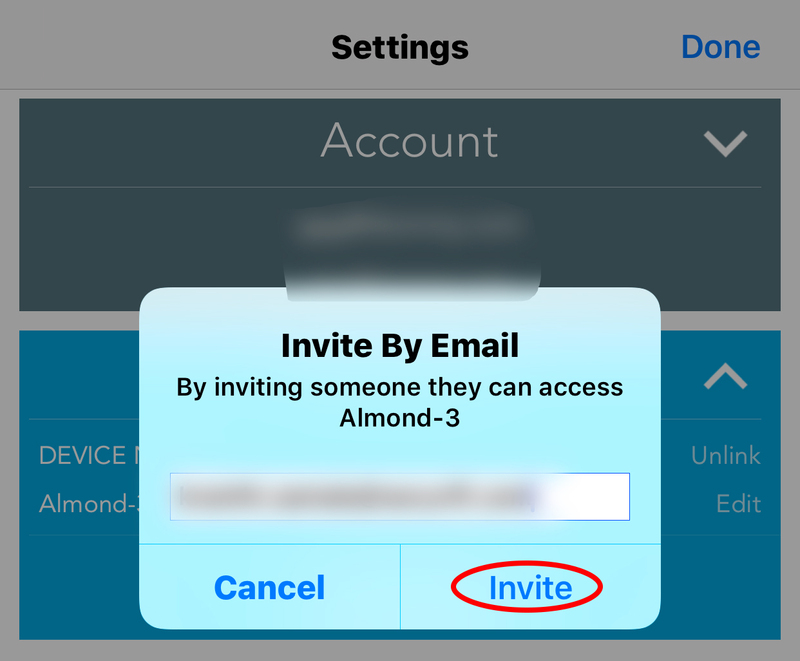 Click on Invite More and simply fill in the email address of whoever you want to give access to your almond and click on Invite. 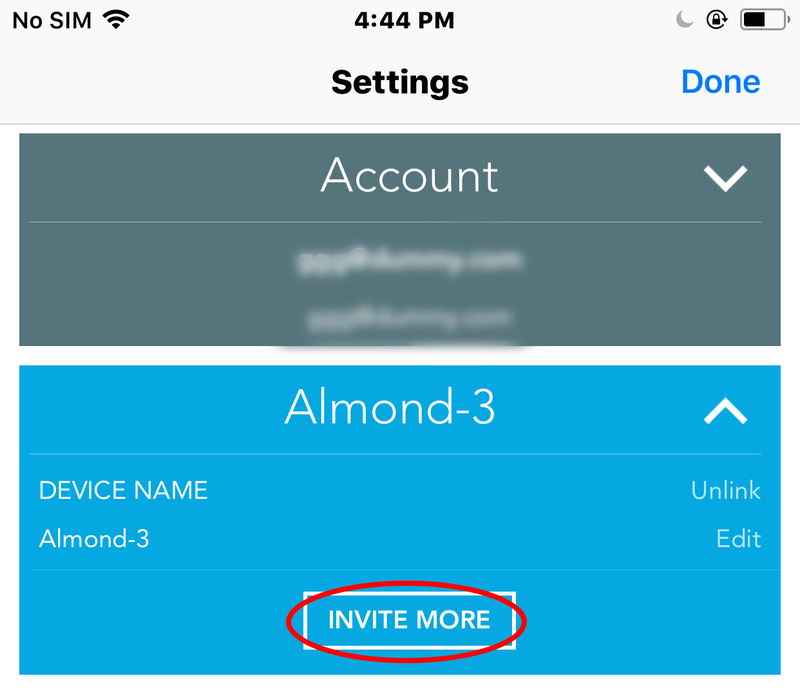 Note: An Almond Cloud account is required for every user, so make sure they've registered for an account before you invite someone. Once you're done, it should look something like this. 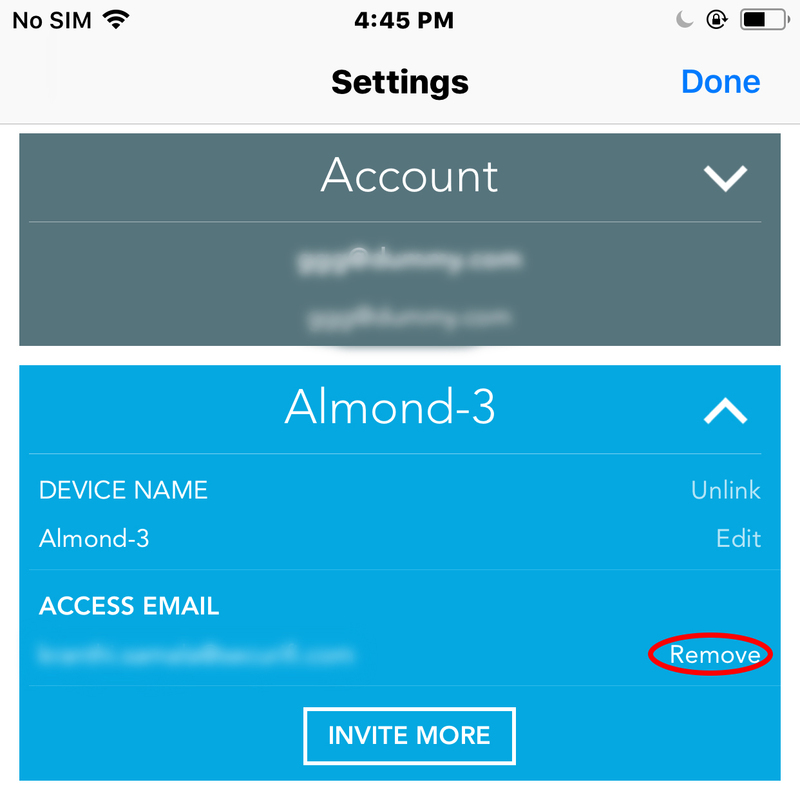 To remove an add-on account, simply click on Remove next to the email address that belongs to the account you want to remove. This page was last modified on 1 December 2017, at 13:02.